One of the things I love to do is give my clients authentic engagement sessions that reflect who they are as people. This doesn't have to be totally crazy, just a little nod to who a couple is as a person goes a long way in getting genuinely reflective engagement photos. For popular blogger Robyn Lee of The Girl Who Ate Everything, it was food. When I asked what her and her fiancé had in mind, she said, "Maybe...something involving eating soft serve, because that's one of our most favorite foods. 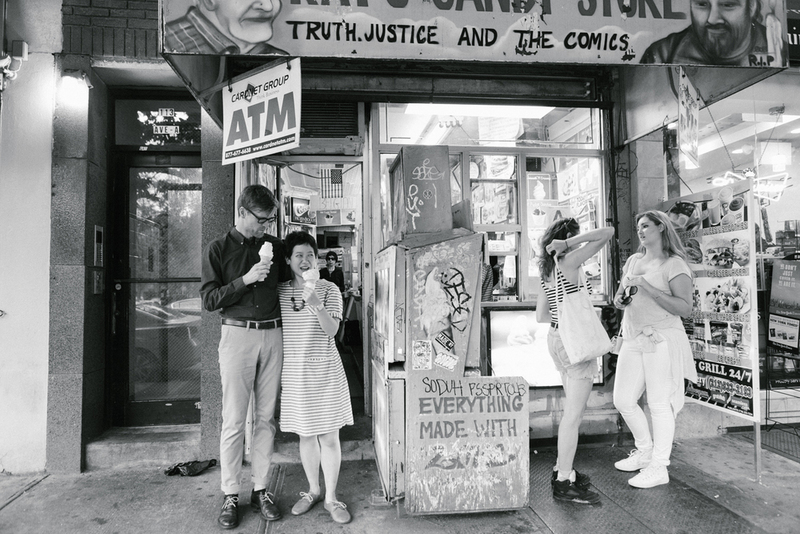 :)"
We wandered around the Lower East Side taking photos, and ended at Ray's Candy Store, where they got served (soft-served?) by Ray himself.